The beauty of roses and hydrangea. 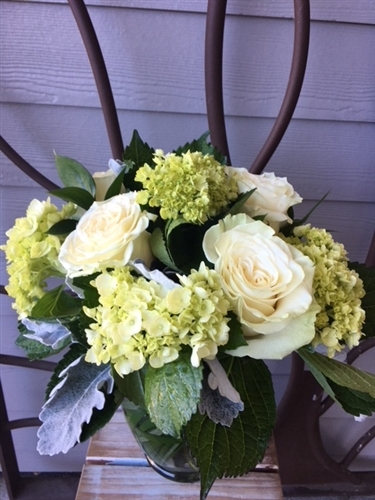 Clear ginger jar bursting with mini green hydrangea, elegant mondial roses and dusty miller. All around arrangement.